While it’s true that you might save money, sometimes those Mr. Fix-It repairs can end in disaster …..like the time our outdoor faucet sprung a leak, and my husband tried to fix it himself. Here’s how that day went: Bang, bang, bang ….whoosh! “Call the plumber, honey!” Then, many $$$ later …you get the picture. DIY projects may be easier than in the past (especially with You Tube videos), but it could still wind up costing you more money and aggravation. 1) Changing HVAC filters – Easy to do, and makes a difference, especially during allergy season. 2) Fixing leaky faucets – Not everything is a plumbing catastrophe waiting to happen. Sometimes all it needs is a little washer. 3) Caulking the Tub/Shower – This one’s an easy preventive measure … A tube of caulk costs a few dollars. Replacing mold-infested bathroom tile and drywall can cost thousands of dollars. 8) Fix running toilets – A running toilet wastes water and money. Experts say not to bother fixing one component. Just replace the entire assembly. If one part is old, others may soon fail, too. A kit that replaces the entire assembly costs around $15 and is easy to install. 9) Wrapping the Water Heater — Energy.gov estimates you’ll save $20 to $45 a year, or 4 to 9 percent of your water heating costs, by wrapping the hot water heater in an insulating blanket. The project costs about $30 and takes about an hour and a half. Don’t fret about the money for these. It may be pricey to hire a contractor, but an affordable Home Improvement loan from Signal Financial may help ease your mind. 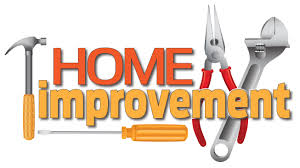 2) Home Electrical Work – think rewiring, new construction, etc. 4) Custom Features – like a funky color palette or a guitar-shaped swimming pool. An expert might advise you NOT to do it, since it might harm your home’s resale value down the road. 5) Home Plumbing Projects – like a new bathtub, etc. One wrong pipe, and it could be Mold City. 7) Emergency Roof Repairs – See #6 “What could possibly go wrong?” Fixing post-storm damage is a top priority, but don’t. There are professionals capable of scaling rooftops and cleaning up the aftermath of such disasters. Unless your day job has you up on a trapeze, you don’t need to be on the roof. 8) Animal Removal – Did a raccoon take up residence in your basement? Call Animal Control. You don’t need rabies. 9) Building Your Own Fence – Digging post holes, math and geometry, and figuring it out make this a worthwhile spend on the expert. Be the “supervisor” on this one….your family will thank you!